Built in 1967, by the Martinolich Shipbuilding Corporation of Tacoma, Washington (hull #375) as the Pacific Master the Pacific Tow Boat Company of Everett, Washington. In 1969, Pacific Tow Boat and the Foss Launch and Tug Company of Tacoma, Washington were acquired as subsidiaries of the Dillingham Corporation of Honolulu, Hawaii. Operations of the two companies were united under the Foss name, where she was renamed as the Catherine Foss. 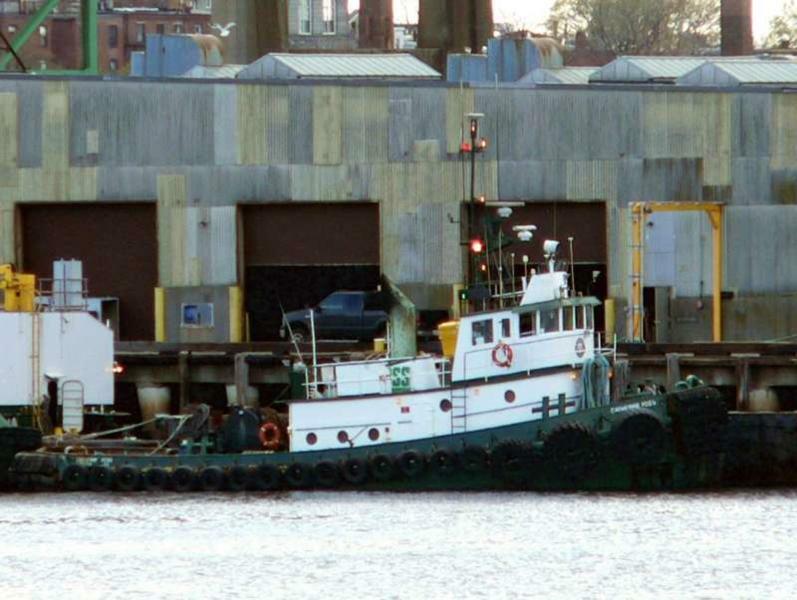 In 1969, the tug was acquired by the Foss Launch and Tug Company of Tacoma, Washington. Where she was renamed as the Catherine Foss. In 1987, the Foss Maritime Company was acquired as an independent subsidiary of Saltchuk Resources Incorporated of Seattle, Washington. 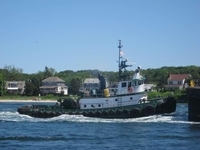 In 2002 the tug was transferred to another Saltchuk subsidiary, the Hawaiian Tug and Barge Company of Honolulu, Hawaii. Where she was renamed as the Kainani. 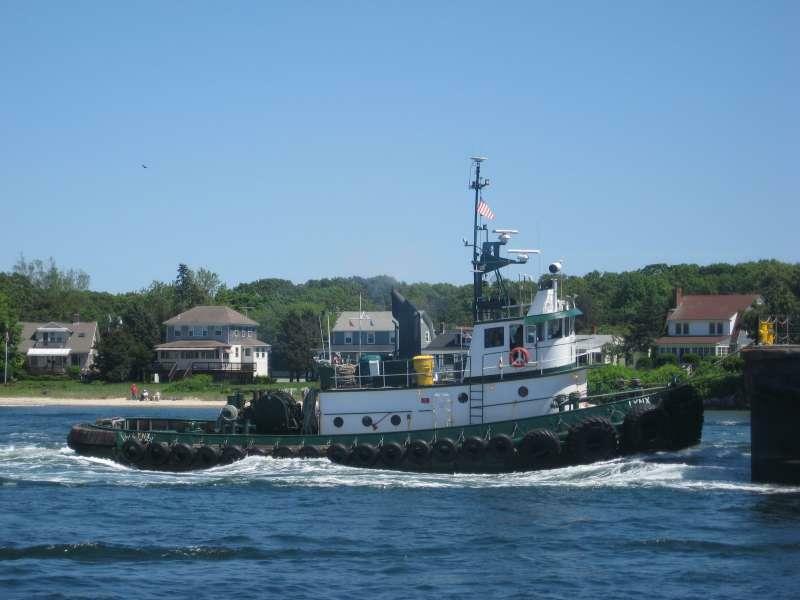 In 2006, the tug was transferred to Foss Maritime subsidiary Constellation Maritime Company of Manchester, Massachusetts. Where she was renamed as the Lynx. In 2011, the tug was returned to Foss Maritime of Seattle, Washington. Where the tug retained her name. In 2012, she was acquired by the Sterling Equipment Company of Quincy, Massachusetts where she retained her name. Powered by two, Caterpillar D-398 diesel engines. With Caterpillar 3192 reduction gears, at a ratio of 5.31:1. Turning via two, two Olympic, five bladed, 85.5(in) by 67.5(in), fixed pitch propellers. For a rated 1,830 horsepower. Her electrical service is provided by two 50 Kw, 208/120V AC generators driven by two Caterpillar D-320 engines. The tug's capacities are 24,000 gallons of fuel oil, 760 gallons of lube oil, 210 gallons of hydraulic oil and 3,000 gallons of water. The towing equipment consists of an Almon Johnson 320SS, towing winch. Outfitted with 1,450(ft) of 1.5(in) wire. As well as a bow winch outfitted with 200(ft) of 1 1/8(in) ship wire.